This year Iowa Young Birders offered our first scholarships to attend one of the American Birding Association Young Birder Camps in either Delaware or Colorado. Applications were due April 1 and we are pleased to announce our second scholarship awardee for 2015, Walt Wagner-Hecht of Cedar Rapids, Iowa. Walt, age 16, is a member of Iowa Young Birders and has taken part in more than 30 of our field trips. He also volunteers to track all of our field trip checklists in eBird. He is registered to attend the ABA’s Camp Avocet in Delaware this coming August. Iowa Young Birders will make a $500 award toward Walt's camp tuition. If a scholarship winner is not able to attend their camp of choice, Iowa Young Birders will award him or her with a three-year student membership in the American Birding Association. Each scholarship applicant is required to submit an essay describing his or her most memorable Iowa birding experience and how it has changed their thoughts, ideas, or outlook on conservation. Last week I went birding at our family’s cabin in Washington County. As soon as we arrived at the cabin, I put on my jacket, boots, and binoculars and began my search for woodcocks. It was still a bit early for them to be displaying, but that would give me time to find an area of good habitat. I decided that the best area to see woodcocks would probably be the large central prairie bordered on one side by the riverine forest of Long Creek and on the other by a forest of white pine. As I climbed a prairie hill towards the pine forest I disturbed a flock of pheasants and noticed savannah sparrows popping in and out of the grasses. I arrived at the prairie in time to see a gigantic flock of robins gathering before flying over to the marsh to roost. As they arrived, my presence disturbed a pair of Canada geese, who began honking continually for half an hour. I sat down to calm the birds and looked out over the prairie. As the sky darkened, the frogs began to croak and a great horned owl in the pine forest hooted. It was almost time for the woodcocks to begin displaying. I positioned myself in an area of burnt prairie between two large grassy areas. Suddenly a highpitched twittering sound echoed down from the sky. I knew that the woodcocks had begun their dance. A minute later, a “peent” coming from the grass below preceded another flying leap into the air. This time I had my binoculars ready, and followed the woodcock as he spiraled into the air then fell back to the ground. Soon, there were multiple birds peenting at the same time. I sat in wonder for a while before realizing that my mom would probably want me back at the cabin soon. I walked back down the prairie hill trail towards the cabin as the woodcocks continued to fly and sing. I counted seven woodcocks in total before saying goodbye and taking off my binoculars on the cabin shelf. Coming to one of the Wagner farms is always fun and there are plenty of opportunities for birding. Whenever I come, I remember that this was only here because my family worked to restore the forests, prairies, and wetlands that were once here. I think about what I could do to help protect birds and their habitats, and how when I’m older I can help keep places like these full of amazing wildlife. For more information about the Iowa Young Birders Camp Scholarships including how your support can helps us encourage more young birders like Walt, click here. In 2015, Iowa Young Birders offered our first scholarships to attend one of the American Birding Association Young Birder Camps in either Delaware or Colorado. Applications were due April 1 and we are pleased to announce our first scholarship awardee, Devvin Schroeder of Decorah, Iowa. Devvin is 18 and a member of Iowa Young Birders. She hopes to attend Camp Colorado. 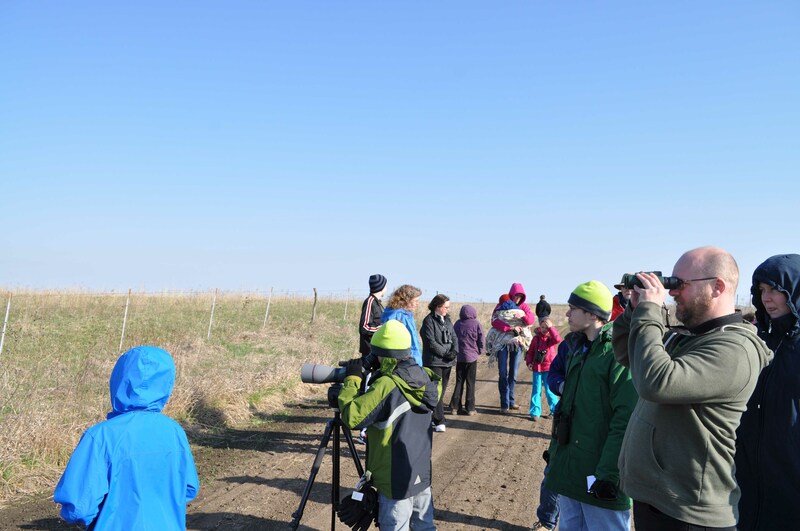 If there is space, Iowa Young Birders will make a $250 award toward Devvin's camp tuition. 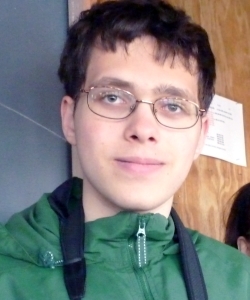 If a scholarship winner is not able to attend their camp of choice, Iowa Young Birders will award him or her with a three-year student membership in the American Birding Association. Congratulations to Devvin! Hi, my name is Devvin Schroeder, I have been very fortunate to grow up in a family of conservationist. Both of my parents have worked in conservation for many years, and they are teaching me how to help our birds and our other wildlife. My most memorable Iowa birding experience is when I went birding with Larry Reis and Dennis Carter at Cardinal Marsh close to the Howard/Winneshiek county line. Both Larry and Dennis taught me how to identify different shore birds. Larry taught me to identify them with what color their legs and feathers were, and by what size of beak they had. Whereas Dennis taught me how to identify them by their size, the shape of their bodies, and their flight pattern. Larry also taught me how to identify some of the different dragonflies. Cardinal Marsh is where I actually saw my first Green Heron, Lesser and Greater Sandpipers, and some other really cool and beautiful shore birds. When I first saw these birds I was amazed at how small they were and how fast they could run. It was fascinating watching the sandpipers run along the shore looking for things to eat. Just watching them stick their beaks in the sand piping for food was amazing. Cardinal Marsh is also were I saw my first Sandhill Crane. Seeing the Sandhill Crane was really special to me because at the time I didn’t know if I would ever see another Sandhill Crane again. I was actually really looking forward to going to Nebraska to see the Sandhill Crane migration with the Iowa Young Birders. Instead I’m going to southern Texas with my mom to pick up my grandparents. We took them to Texas over Thanksgiving and we were able to go birding for a week. I’m so excited to go back to Texas because we may be able to see some of the Whopping Cranes at Aransas National Wildlife Refuge. That is if they haven’t migrated yet. I find bird watching very relaxing, because all you really have to do is find a beautiful spot to find birds and hike because the birds are all around you. You just have to take the time to listen and to look at what’s around you. If you’re not careful you may miss them. After being at Cardinal Marsh it showed me that we have to keep our water ways and our wetlands clean from pollution. Because if we don’t the future generations may not be able to see a Green Heron or a Lesser and Greater Yellowlegs. If it wasn’t for conservation and the effort of many wildlife groups like the DNR, the future generations would not be able to see a Prairie Chicken. Many of our bird species are disappearing because of the habitat loss. With so many birds being threatened it pushes the birds that are on the brink even closer to being gone, for good. With people working hard on preserving these wild places many of our rare bird species could make a comeback. Unless we do something, like get more children, young adults or even older adults interested in birding that could make a big impact on the future of our birds. By not cutting that dead tree down in your yard that your wife/husband really dislikes you are helping a bird. You may wonder how not cutting that awful tree down can help? Well it helps by providing a place for some birds to nest in, and many insect and different bugs will slowly start to decay the tree. Many of the insect and different bugs help feed a variety of birds, like woodpeckers and nuthatches. When I graduate from high school, I’m going to go to college at Iowa State University and major in Natural Resource Ecology and Management. So that I can use my knowledge to help educate people on the growing need to protect our disappearing wildlife. We are not going to solve this problem in one day or in a year; but with so many more people starting to understand that we have to do something before birds and other wildlife go extinct. If you would like to help us encourage young birders like Devvin, please consider making a contribution to Iowa Young Birders. As we walked, we talked about how to spot and describe the location of a bird and the basics of bird identification. A pair of Eastern Phoebes kept returning to the same perches along the creek which gave us a chance to talk about this distinctive behavior of flycatchers. We learned what "sallying" is as well as the difference between "canopy" and "understory." After crossing the creek several times, we stopped to study the Cliff Swallows nesting in their mud nests built, appropriately, on the face of the cliff. A couple of Rough-winged Swallows were also feeding in the area. Several Indigo Buntings perched for our spotting scope and we pursued and glimpsed a Common Yellowthroat. After returning to the parking lot, we talked about birding etiquette and how we respect the birds and their environment AND also each other as we bird and learn as a team. Every young birder received a copy of the new Iowa Ornithologists' Union Yellow Book which helps us to know about the seasonal occurences of Iowa's birds. The 2016 American Birding Association's Young Birder of the Year contest is now open!. We encourage all young birders ages 10-18 to take a look and consider entering. It's a great experience for all those who enter. Young birders from Iowa, if we can be of any assistance, don't hesitate to ask us for help! Here are all the details (http://youngbirders.aba.org/young-birder-of-the-year-contest). Iowa Young Birders member and author of "A Prairie Girl's Notebook" Coralee Bodeker shares her experience with a winter visitor to Iowa, the Snowy Owl, in her essay entitled "Iowa's Tundra Tourist". Iowa Young Birders was featured in the January 2015 issue of the Bur Oak Land Trust Environmental Journal (http://www.buroaklandtrust.org). With the generous support of many donors, Iowa Young Birders is announcing the creation of the Iowa Young Birder Camp Scholarship. Each year, the American Birding Association offers two week-long young birder camps. Camp Avocet (Delaware in August) and Camp Colorado (Estes Park in July) are considered premier opportunities for young birders to increase their birding skills, learn about bird conservation, and about careers in ornithology. Above all, young birders have the opportunity to meet other young birders from around the country. Iowa Young Birders is committed to encouraging the development of young birders and we are excited to offer a scholarship of up to $500 to one or more Iowa young birders interested in attending an ABA camp. Scholarships are available to any young birder who is a resident of Iowa and is between the ages of 13 - 18 (the age range eligible for the ABA camps.) Young birders need not be a member of Iowa Young Birders nor do they need to show financial need. 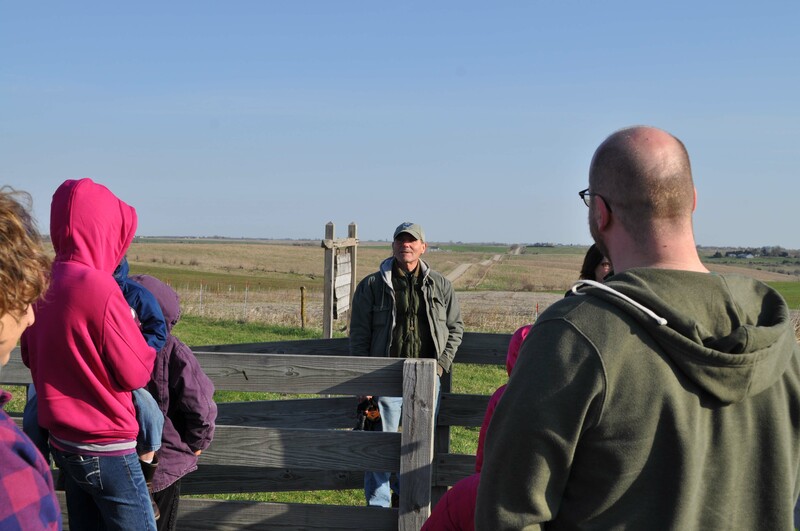 As part of their application, young birders are asked to submit an essay written describing their most memorable Iowa birding experience and how it has changed their thoughts, ideas, or outlook on conservation. The deadline to apply for the Iowa Young Birder Camp Scholarship is April 1. If you would like to contribute to the Iowa Young Birder Camp Scholarship, please click here.